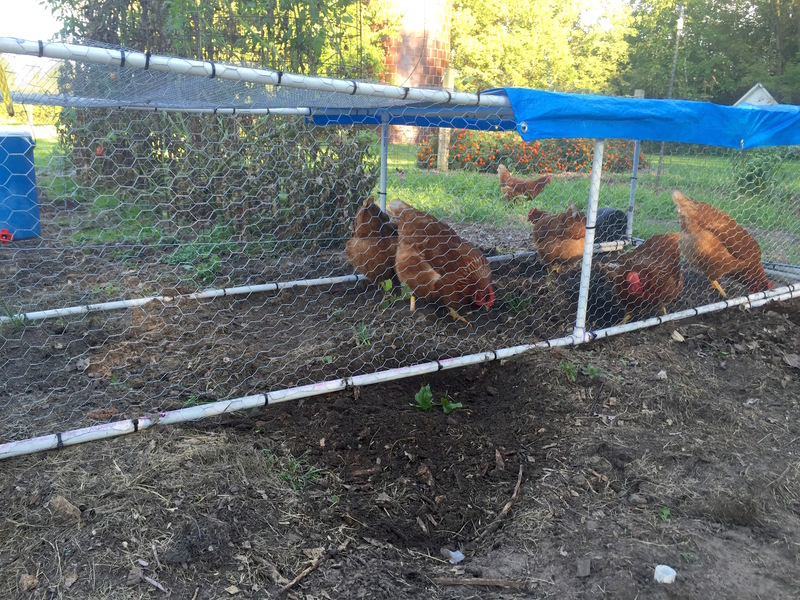 This entry was posted in chickens, vegetable garden and tagged chickens, vegetable garden. Bookmark the permalink. The neighbor’s hens have been showing up in my yard most mornings lately. They don’t bother me, but my daughter seems to feel invaded. Oops, that’s not good. They can rip stuff up pretty well and some folks aren’t that comfortable around chickens. I had two escapes from my chicken tractor today, so I need to get a lot smarter if I’m going to keep using it. Those are great! You could rent them out to others needing chickweed removal 🙂 I’m in the market. Happy chickens. I let the chickweed grow under the tomatoes in tunnel just for them. Why not, ay? Hmm that’s a great idea! Hey Mike, that’s awfully nice of you! Is everything okay? I’ve been missing your posts – it’s been almost a month!